Nancy Sleeth’s book, Almost Amish, builds on the basic principles of Amish life and shows readers how making conscious choices to limit (and in some cases eliminate) technology’s hold on our lives and getting back to basics can help us lead calmer, more focused, less harried lives that result in stronger, deeper relationships with our families, friends, and God. It’s time to simplify our lives, make faith and family the focal point, and recapture the lost art of simple living. Notes: One way to avoid temptation to buying things we don’t need is avoiding it. The first quote given is a perfect example of one way to avoid temptations. The media we view also plays a big role on tempting us to not be satisfied with what we currently have. If we understand marketing and how it works, it will be easier to sense temptation it’s trying to get to us. Notes: This chapter discusses investing our money in good quality things that will last. For example, instead of spending your money on a designer coat that’s “in style”, buy a coat that will keep you warm and better quality. Note: People are addicted to technology. Everyone is obsessed with television, social media, and video games. We can help lose these addictions by either cutting back on them or completely eliminating them from our lives. Note: It is parent’s responsibilities to limit their kid’s usage of technology. Note: We should always give regardless of our financial status. Note: Give generously, stay out of bad debt, make good investments, live more simply. Note: We are replacing our enjoyment of nature with the enjoyment of technology. It is important that we appreciate God’s gifts to us more than mans. Note: Ways in which we can enjoy nature more is by spending more time outdoors. This could be by working, playing, community service, gardening, or any kind of recreational activities. Note: Life can be easier if we choose to live more simple lives. The more we own, the more responsibilities we hold. 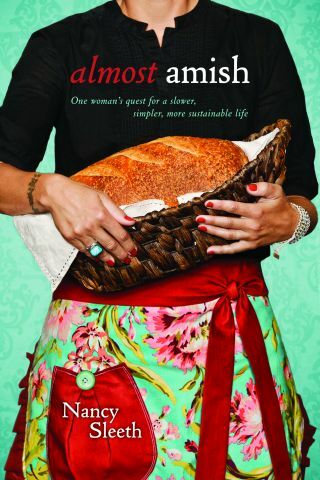 Note: The author suggests supporting local farms and businesses for a simpler life. They also suggest getting to know the people around us like our neighbors, people we casually encounter all the time, etc. Doing all these things will make our lives a little easier. Note: Today’s society teaches us to find joy in things that are temporary and many people focus on allowing their children to find joy in worldly riches. Too often we see wrong lessons instilled on children and we see the works of the world play a part on the younger generation instead of the Lord’s demands. I think that the Amish have the right idea in preparing their kids with lessons that will be valuable for all of eternity. Note: The beginning of this chapter discusses the importance of community inside the body of Christ. I find this to be very helpful because I myself struggle with trying to be too independent and never find myself asking for help from others. This chapter talks about how people in the Amish community come together to help people in times of need. Note: This chapter is focused around the idea that the only security we have in life comes from God himself. I like the idea that is portrayed in the beginning of the chapter when the topic of how dangerous motorcycles are came up. Ultimately we have to have faith in God, but that does not mean that we need to “test” God and see how far we can push a risk factor before realizing God’s greater plans. We must trust in God with all our might, but there is no reason to take a risk that is not worth taking. Note: Later in the chapter Nancy Sleeth compares boating accidents in Biblical times to car accidents today. Nancy discusses Paul’s journey to Rome, when the crew hits a storm, “Paul prays, and God assures Paul that no one will perish. The ship falls apart, but- as God had promised-everyone makes it safely to shore.” I can use this as an example in my life because I often forget to put my trust in God during a sticky situation and I try to pull out of it alone, but having faith in the security that God promises us is the only way to assure the right outcome. Note: America has quickly turned to a “do it yourself” country where everyone wants to strive for the American dream and most people do not care about the relationships that are threatened and they care a lot less about how some decisions will hurt others. Sadly this is the world that my kids and their kids will learn to live, unless we start to make a change by raising our children with morals and ethics. Note: “Once the kids were grown out of school, the neighbors lost the thread that had connected them on a day-to-day basis.” In today’s world, parents put so much time and effort into their kids’ sports and social lives that they forget to teach their kids the idea of unity. Note: In American society today, kids do not come home till late at night and they hardly see their parents due to sports, work, school, and anything else that can divide a family. Note: The best way for families to actually stay connected is to stay close geographically. Note: In society today because to be honest, most people are going to learn from others, this could be learning from mistakes or even learning from success. Note: Faith is not just something that is used on Sundays but instead is something that should be expressed everyday, in events such as how to finance God’s way.